Oxmoor Farm was the family home of six generations of Kentucky’s early pioneer families — the Christians and Bullitts. In 1991, the house, the 13 outbuildings, and 79 surrounding acres were put on a preservation easement with the Kentucky Heritage Council, which will perpetually protect the historical integrity of the house and grounds. We invite you to join us in protecting and preserving Oxmoor Farm. The story begins with Revolutionary War hero William Christian and his wife Annie Henry, sister of Patrick Henry and continues to be a focal point in both Kentucky’s and our nation’s history. Nestled 8 miles outside of downtown Louisville, Oxmoor is a historical gem giving us a glimpse into Kentucky’s past. The Christian and Bullitt families were influential in the formation of Kentucky. Their homes, the original log cabin built in 1785, and the original frontier colonial section built in 1791 to the federal style addition in 1829 and the 2 additions in the early 1900s, are a literal testament to the state’s history from colonial times through the 20th century. The distinctive feature of the estate is the formal grand library of 10,000 books. Buffeted by the beautiful gardens that were designed in 1911 and the tree-lined avenue, as well as the charming outbuildings add to Oxmoor’s beauty and its historical uniqueness. Come visit Oxmoor Farm and join us on a private tour to discover the best-kept secret in Louisville. To Preserve, Protect, Enjoy, and Pass on . . .
Join the Oxmoor Farm Foundation to help preserve, protect, and pass on one of Kentucky’s oldest farms so future generations of Kentuckians can enjoy this remarkable historic treasure. In 2017 we created a foundation to preserve and protect Oxmoor Farm and the 79 acre historical easement. 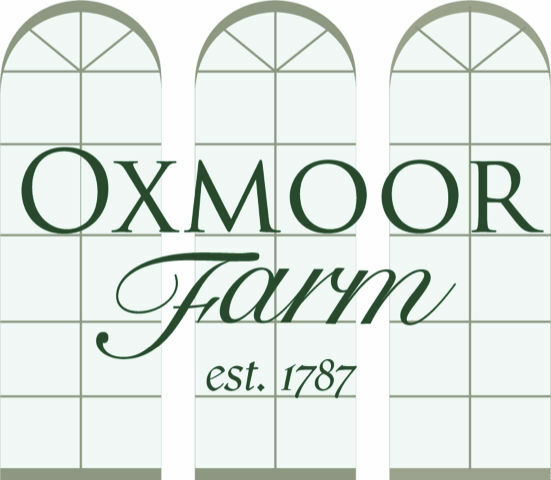 A strategic plan was completed in 2018 to put in place long-term goals and objectives for Oxmoor Farm. If you would like to help preserve and protect 200 years of American history please contact us.